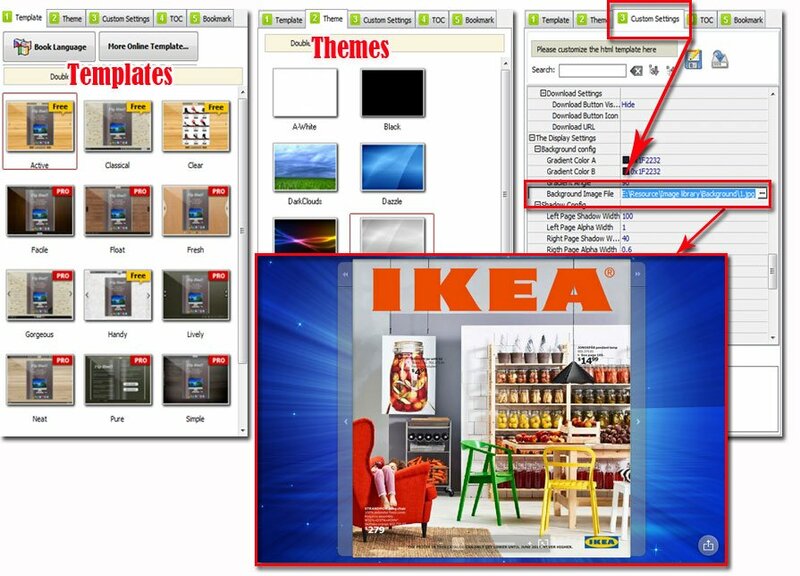 Easy to use software for you to create interactive, shoppable content catalog from PDF file. Print catalogs always cost too much. The production of a book often involve more than multiple processes, including catalog design, print and check up on. You can imagine that how expensive it is if add up all the expenses. And it also needs communication costs. 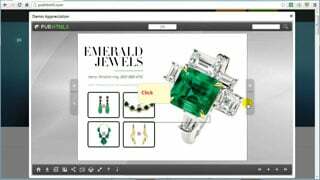 As the technology developing, now more people choose to display their catalog content by ebook. But you know that most of ebook format have their limitation. For example, PDF format catalog reply on PDF Readers. And we cannot view PDF in all devices, especially for those lower configuration devices. Maybe your company would like to make digital ebook by yourself, rather than rely on designers. However, most of the people have no idea about programming. 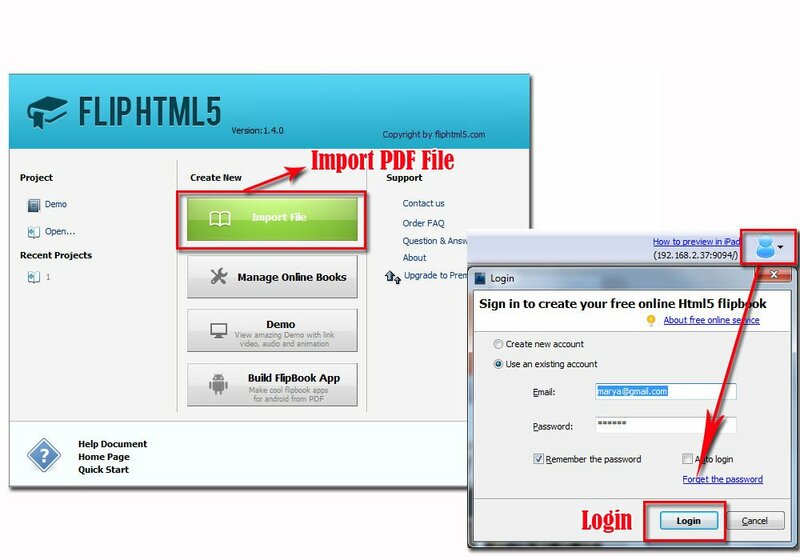 PUB HTML5 software is designed for helping people who want to create shoppable digital catalog based on HTML5. It is easy to use, without need to coding. Once published, digital catalog can be read on all devices easily. 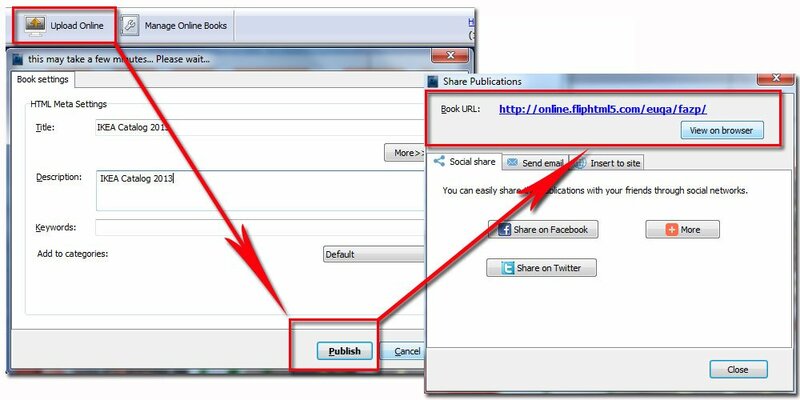 Click upload online button to write your book title and description, and then click "Publish"; A few minutes later, you can get the book URL which can be opened to read the digital catalog content.